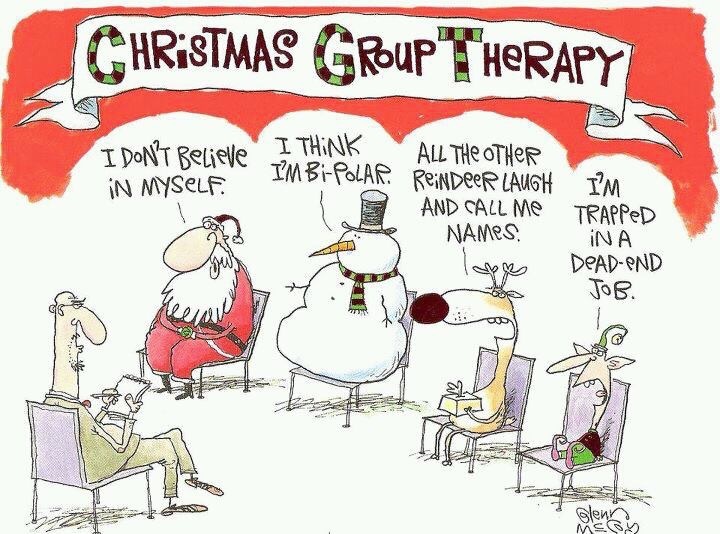 Christmas Group Therapy | Borderline between what and what? This entry was posted in Holidays/Events, Potpourri and tagged Christmas, group therapy by Borderline Mindful. Bookmark the permalink.